Vacuum brazing furnace is a large equipment which is processed by the workpiece in heat treatment, which can be processed by vacuum annealing, vacuum aging and vacuum brazing. Vacuum brazing furnace can write a variety of different applications, can also control and write hundreds of curve of heat treatment, its temperature control zone can be roughly divided into before and after the up, down, left, right, and the six partitions, vacuum brazing furnace installation has a single point and multi-point temperature protection device and temperature recorder, and the uniformity of furnace temperature can be controlled in the range of fluctuation of 3 degrees Celsius, in addition, also strong cooling device with high flow, high purity nitrogen. The vacuum brazing furnace has the characteristics of high efficiency and high loading capacity. Vacuum brazing furnace is mainly used in aluminum vacuum brazing, titanium alloy, stainless steel, high temperature alloy, hard alloy and nonferrous metal brazing, and die steel, stainless steel, high speed steel and bearing steel materials such as vacuum tempering heat treatment. 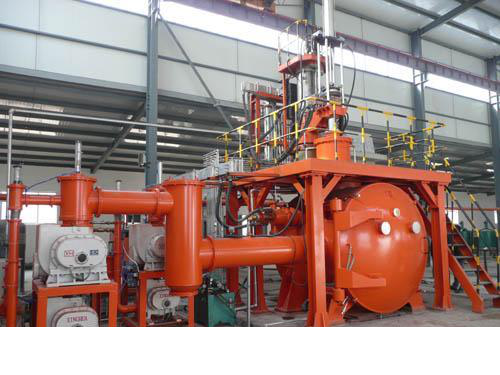 Vacuum brazing furnace consists of heating chamber, vacuum chamber, pump system, control system and heat exchanger. The pump system consists of maintenance pump, mechanical pump, diffuser pump and lutz pump. Valve consists of high valve, front valve, maintenance pump valve and bypass valve, etc. The heating chamber consists of heating chamber shell, heater, reflective screen, insulating piece, hearth and electrode.